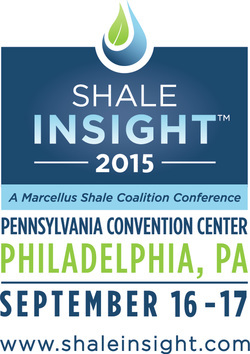 As part of the SHALE INSIGHT 2015 Conference, the Marcellus Shale Coalition's (MSC) Research Collaborative will host the annual Technology Showcase which provides suppliers of emerging technologies an opportunity to introduce their innovation to the natural gas producer, midstream/pipeline and service community. The 2015 Technology Showcase will take place on September 16, 2015, at the Pennsylvania Convention Center in Philadelphia, PA from 1:45 p.m. – 3:45 p.m. The event is sponsored by the Ben Franklin Shale Gas Innovation & Commercialization Center, who has helped to coordinate the Showcase since its inception. This year’s Technology Showcase will feature a keynote address by Kemal Anbarci, Vice President & Managing Executive of Chevron Technology Ventures (CTV). CTV champions innovation, commercialization and integration of emerging technologies within Chevron. CTV identifies, acquires, tests, validates and helps integrate technologies into the company's core businesses. Currently, 35 companies in the oil and gas market are in their investment portfolio. The Research Collaborative is seeking applications from technology providers interested in presenting their technology that is ready for “field test” to the natural gas community. The technology should be ready for pilot testing, slip stream or full scale demonstration in the Marcellus shale, Utica shale or a coal-bed methane or coal-mine methane site. Technologies beneficial to natural gas production, pipeline and service companies are of interest. In a format similar to that of a venture capital fair, selected suppliers will be asked to deliver an 8-minute presentation followed by a 2-minute Q&A session. Immediately following the presentations, there will be an opportunity for presenters and attendees to network. Up to twelve applicants will be selected to present at the Technology Showcase. Several technologies that were presented in the last two years have established industry partners. To be considered as a presenter, complete and submit an online application by July 17, 2015. A selection committee, comprised of MSC Research Collaborative members, will review the applications and notify the selected presenters by August 7, 2015. A detailed event schedule will be provided by September 10, 2015.